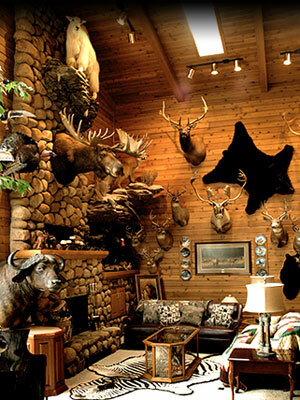 Stoney Hills is a privately owned taxidermy/ wildlife art studio, taxidermy school/ training facility, trophy elk farm and trophy white tail hunting business. specializes in world class taxidermy mounts, we pride ourselves in not being an ordinary commercial taxidermy shop. All trophies are given an extensive amount of time in order to recreate those once in a life time expressions. The quality of our finished mounts and attention to detail is second to none in the taxidermy industry. We offer custom displays for sale and design our clients displays all with guaranteed completion dates. This is a business, not your local hobbyist who holds your trophy captive indefinitely. Speedy service does not mean quality suffers; it means we work for a living. Our mission at Stoney Hills Taxidermy is to offer our clients the best wildlife art in the taxidermy industry. is a State of the art taxidermy training program and facility. We offer a 4 Week Training Class, Taxidermy Workshops, and an apprentice program for follow up training and support. Not unlike our taxidermy business, we strive to offer the best/ most advanced taxidermy training offered in the industry. Many of our students our becoming some of the most talented taxidermist in the industry today! We have been breeding Trophy elk bulls for over 14 years and have available some of the largest bulls in North America. At Stoney Hills Elk Farm and Hunting we also offer fair chase Monster Whitetail hunts. Please check on your area of interest and feel free to call with any questions. Thank you for visiting Stoney Hills. Let us help you fulfill your taxidermy, taxidermy training or hunting needs! Copyright © 2004 Stoneyhills North American School of Taxidermy. All Rights Reserved.